Distell’s Fine Wine brand division represents an extensive collection of superlative quality, award-winning wines from several boutique estates situated in and around the Cape Winelands. Some of which they own, some part owned and for others they represent from a marketing and sales perspective. For these estates they take care of their local and international marketing and sales. If you’re looking to order wine online, browse through their brands for some award-winning inspiration. On the international front they work through agencies in the various countries – their main focus being the UK, Germany, Scandinavia, Ireland and the USA. 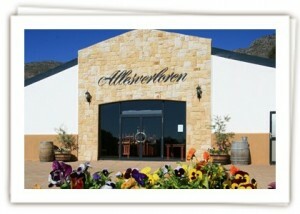 Allesverloren is the oldest estate along the Swartland wine route and its history dates back to the 17th Century. It was passed into the hands of the Malan family in 1872 and the fifth generation Malan; Danie Malan is now the estate’s current winemaker and owner. When you visit Allesverloren Wine Estate, you can buy and taste our portfolio of award-winning wines, treat yourself to some homemade goodies from the Swartland or enjoy a meal at Pleasant Pheasant. Allesverloren is also an idyllic wedding and conference venue, so feel free to pop over for a visit if you’re looking for the ideal setting for your big day. The Latin name for Alto is a reference to the altitudes of our vineyards and the estate’s own aspirations of excellence. Since 1920, only four winemakers have crafted our portfolio of internationally acclaimed red wines. Our history dates back to 1693, when it formed part of the larger Groenrivier farm granted by Simon van der Stel. Wine only became the farm’s focus in the 1920s when the Malan family began to transform the untamed land into vineyards. Our estate’s sound reputation for producing world-class red wines can be ascribed, in part, to its excellent terroir. Located in the Stellenbosch Winelands, it is no coincidence that the area is known, locally, as the Golden Triangle. In summer, when the vines are drenched in sunshine, the late-afternoon sea breezes cool the grapes, lengthening the ripening period and preserving the complex flavours of our noble varietals. Schalk van der Westhuizen is only the fourth Alto winemaker in our estate’s eight decade history. His sheer devotion to the Stellenbosch Winelands and its produce continues to lead our estate into the future. We care about our people, the environment, sustainable farming, what you put into your body and what we put into the earth. Everyone can do something to make a difference, without compromising on quality or taste. 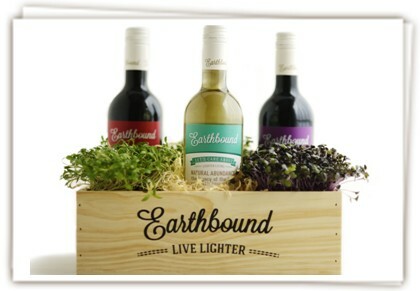 Earthbound wines have soul; organically grown with fair trade principals. The gracious Uitkyk Wine Estate traces its rich winemaking history back to 1712 and is considered a pioneer of the wine industry in South Africa. The farm itself is situated in the Simonsberg ward, a small corner of the Stellenbosch Winelands renowned for its excellent terroir. The feature of the estate is the historic, flat roofed manor house; which was the inspiration behind the name of our enticing range. 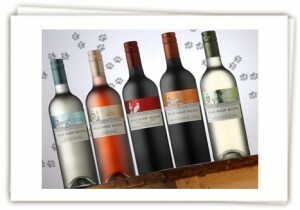 In 2000, after Estelle became acquainted with the cat who suns herself on the parapet of the historic manor house, the idea for this unique range was born. Her winemaking motto is “happiness rubs off” and you can taste this in every sip of Flat Roof Manor wines. 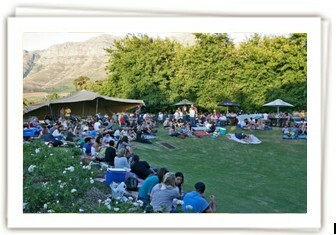 All Hill&Dale wines start their lives in a winery at Stellenzicht Vineyards just south of Stellenbosch. This modern winery is perfectly designed, equipped and laid out to meet the demands not only of a very passionate winemaking team, but also of the rigid food-safety requirements which allow it to be accredited for both HACCP and BRC (British Retail Consortium). It’s the delicate balance between the team’s passion, the facility’s technology and critical health and safety conditions that allow our wines to grow up to be the modern, unpretentious and ever-friendly wines that are enjoyed by similarly inclined wine drinkers around the globe. 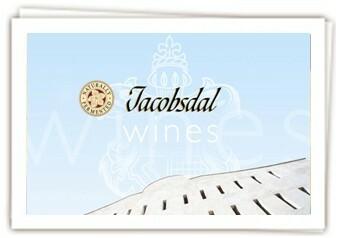 The 265 ha Jacobsdal estate lies on the extreme south-westerly edge of the Stellenbosch Wine of Origin region. It is situated between Stellenbosch and Kuils River, with its vineyards planted on the slopes of the hills overlooking False Bay, less than 10 km away. The soil of the 85 ha planted to bush vines has a gravelly, sandy loam structure with yellow clay as its base. A broadly organic approach is followed in growing the vines, and kraal-manure from the mixed farming with sheep and cattle on Jacobsdal is used extensively as fertiliser in the vineyards. Le Bonheur, which means happiness, dates back to the 1790’s. Hand sorting the grapes at Le Bonheur has remained our tradition. This is one of the reasons why Le Bonheur’s wines are so acclaimed both locally and internationally, and why they consistently receive prestigious awards in top wine competitions across the globe. This 163-hectare estate is situated along the slopes of the Klapmuts Hill in the northern reaches of the Simonsberg ward. Here winemaker Sakkie Kotze ensures that, like at the chateaus in France, grapes are still hand-picked and sorted, to create a hand-picked wine for the wine connoisseurs. Lomond, in the Gansbaai area, is situated in the valley of the Uilenkraal River and located at a most southerly latitude -34° 34΄ south. 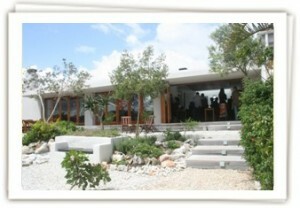 It is one of only a handful of wine farms within the Cape Agulhas appellation of origin. The farm, which derives its name from Mount Lomond at its back, falls within the cool Winkler Zone 2, with relatively little variation in day-night temperatures throughout the year. Located about 8 km from the sea as the crow flies, it is kept cool by the south-westerly and south-easterly winds during the summer months. 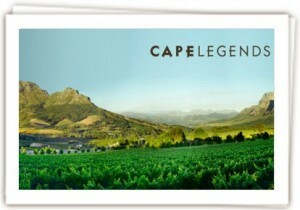 The prevailing cool weather means the grapes ripen several weeks later than in the Stellenbosch area, with harvesting only taking place towards March. Steeped in tradition dating back to 1921, Monis has the longest established range of fortified wines in South Africa and enjoys an unsurpassed reputation for quality for its range of Sherry, Port and Muscadel. 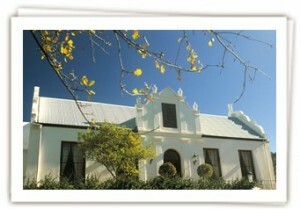 Monis owes its name to Roberto Moni, an immigrant from Tuscany who established himself in Paarl in 1906. He started an import business called the Italian Warehouse where he traded in olive oil, cheese and wine whilst making his own range of natural and fortified wines including a marsala, a moscato and a selection of sherries and ports in a cellar he purchased in Paarl. This proved to be such a success that he changed the name of his business to Monis Wineries Enterprise Ltd in 1921. In 1956, Moni opened the new Monis cellars with its own private railway siding. That same year, Monis wines were amongst the first wines to be exported to France. As wine merchant and winemaker, Moni came full circle from wine importer to wine exporter. He stayed actively involved in the wine industry until his death in 1972. 1966 signalled a new era for Monis when it was sold to the company that is known as Distell today.